A 1970s Rainbow Colour Shirt including a long sleeve shirt with rainbow pattern – Ideal for Pride events, Festivals, or any other fancy dress occasion! 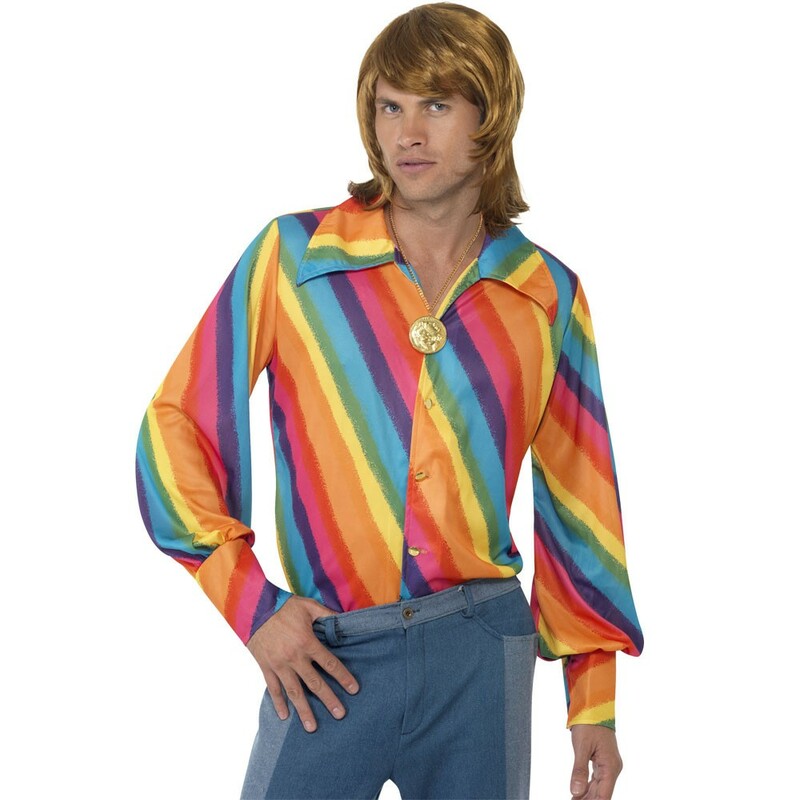 Wear this 1970s Rainbow Colour Shirt with Pride and grab the crowd’s attention in style. This costume comes complete with a shirt only. This 1970s Rainbow Shirt features a long sleeve shirt features a large collar, gold button detailing, and a Vibrant Rainbow pattern. This bright costume is perfect for a 1970s theme, Hippie, Pride events, or any other fancy dress occasion. This brilliant 1970s Rainbow Shirt is sure to make you stand out amongst the crowd no matter what the occasion! A 1970s Rainbow Shirt including a long sleeve shirt with rainbow pattern.